Cast: Eddie Redmayne, Johnny Depp, Jude Law, Dan Fogler, Ezra Miller, Katherine Waterston, Zoë Kravitz, Claudia Kim and others. The Crimes of Grindelwald is the second film of the 'Fantastic Beasts' series that composed of five films and a tenth film in the ever expanding Wizarding world franchise. 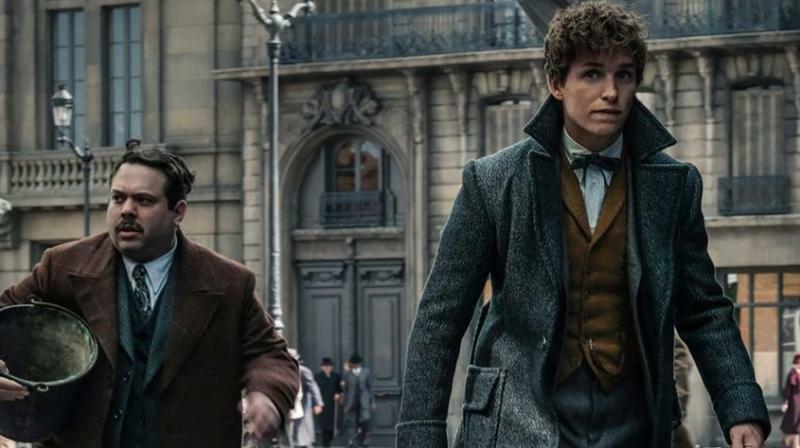 Although, this is yet another creation from J.K. Rowling's wildly creative mind, the David Yates directorial Fantastic Beasts is still not at par with Harry Potter movies. The Crimes of Grindelwald is a continuation of Newt Scamander's (Eddie Redmayne) adventure. It tells the story of Gellert Grindelwald, an infamous powerful dark wizard, his incredible powers and how much of a threat he is to the world. The film follows the story of Grindelwald finding Credence (Ezra Miller), a disturbed but very powerful young man walking on an aimless path. Grindelwald wants to convince him to join his dark army so Credence would kill Dumbledore in the future. With the movie relying so heavily on CGI the visuals needed to be good and thankfully they are great. The film also boasts of beautiful cinematography, amazing soundtrack, impeccable production design and some really groundbreaking action sequences. The magical world of Harry Potter is portrayed with care in this film, and it will make fans happy. This film does not contain that typical Harry Potter magic but fans will enjoy revisiting a lot of elements from the same universe. If you are a Potterhead, you will leave the cinema dazzled by both the revelations and references of Wizarding World. 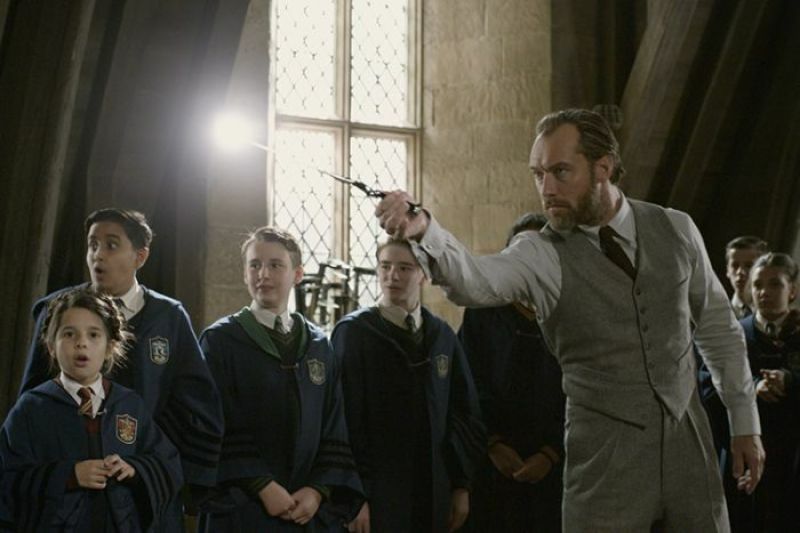 The cast is good, especially Jude Law, who is very convincing as a young Albus Dumbledore. 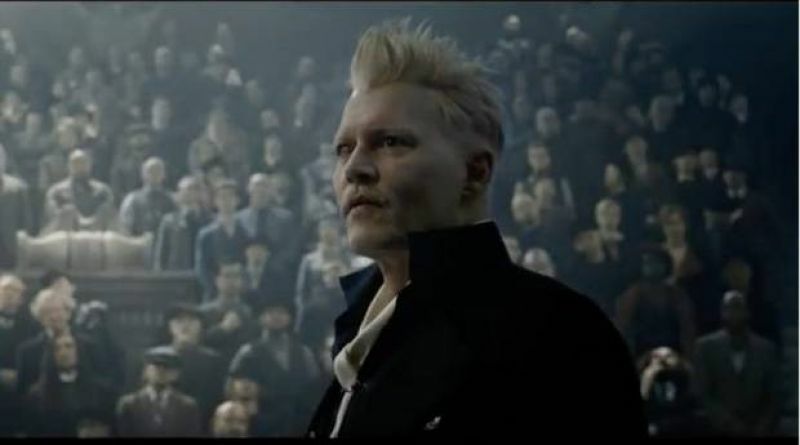 Johnny Depp displays Grindelwald vibes at its best and gives a fine performance. Dan Fogler, and Eddie Redmayne stand out in their respective roles. Zoë Kravitz as Leta Lestrange gets a very good character development and she makes the most of it. Ezra Miller, who shows an incredible, almost disappears in what the script proposes. Most of the other characters are so superficial that it's very difficult to care about their story.